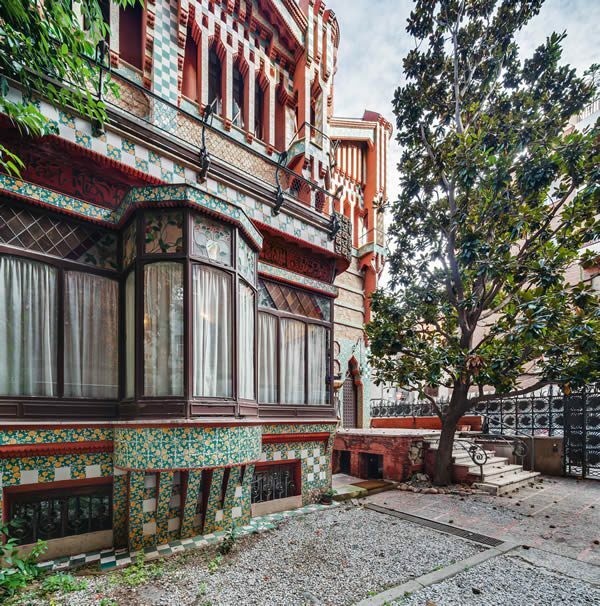 Considered one of the first buildings of the Art Nouveau movement, Casa Vicens was also the first house designed by a certain Antoni Gaudí. Located in the Barcelona neighbourhood of Gràcia, the house commissioned by brick and tile factory owner, Manuel Vicens i Montaner, kickstarted a new chapter in the history of modern architecture. Mostly prominent between 1890 and 1910 in France and Belgium, Art Nouveau shared much with what the Catalans would call Modernisme — a movement embracing architecture, arts and literature; a coming together of creativity and culture often grouped under the term fin de siècle (end of the century). Fin de siècle would take the shape of Sezession in Austria-Hungary; Liberty style in Italy; and Modern, or Glasgow Style, in Scotland. Whatever they called it, the style was expressive and informed by nature in its most lavish forms; decorative arts taken to sumptuously ornate new heights. 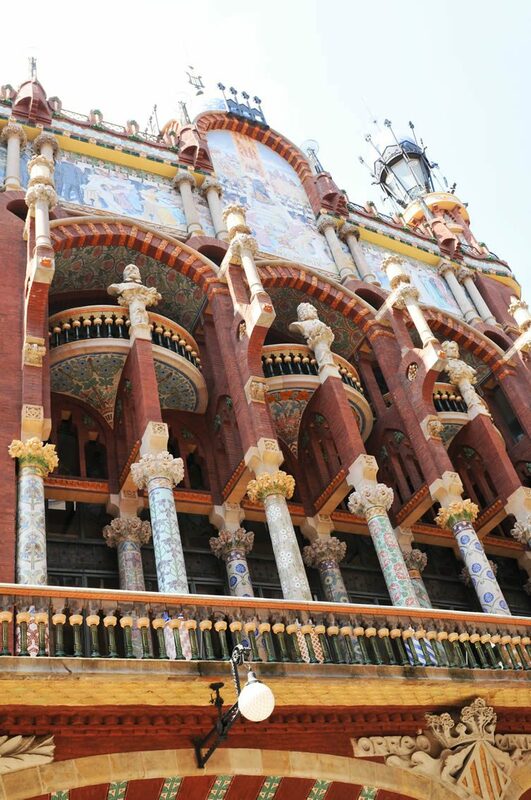 With over 30 Modernista buildings in the city, Barcelona is understandably the international focal point for this elaborate arts movement. Gaudí’s mixture of styles, materials and shapes are apparent in many of them, which range from the world famous (sprawling Sagrada Família, remaining unfinished despite construction beginning in 1882, and several awe-inspiring structures within Park Güell) to the surprisingly conventional (Casa Calvet, completed in 1900 for a textile manufacturer), but no other embodies his creative vision like Casa Batlló does. 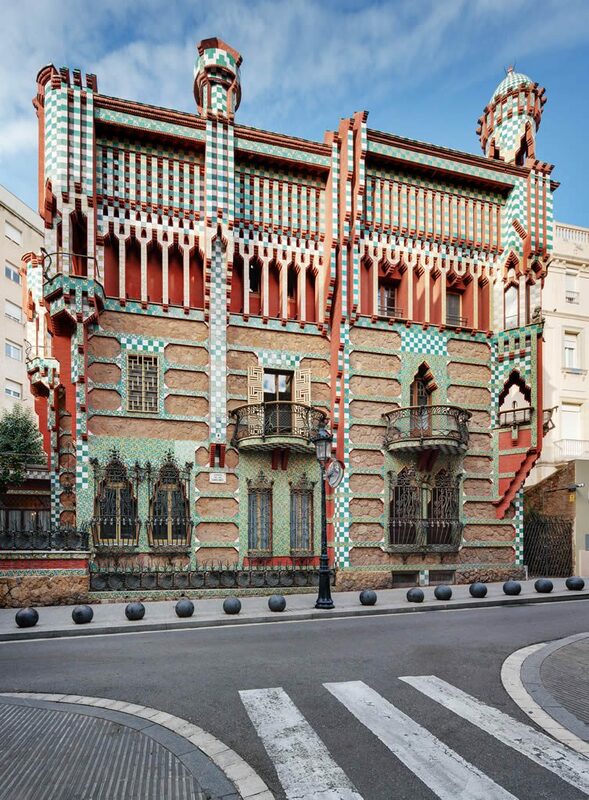 Casa Vicens, Gaudí’s first building in Barcelona, became one of the first examples of the new movement in art and architecture that was taking place all around Europe in the late 19th century; a bold style that would be dubbed Modernisme in Catalonia. 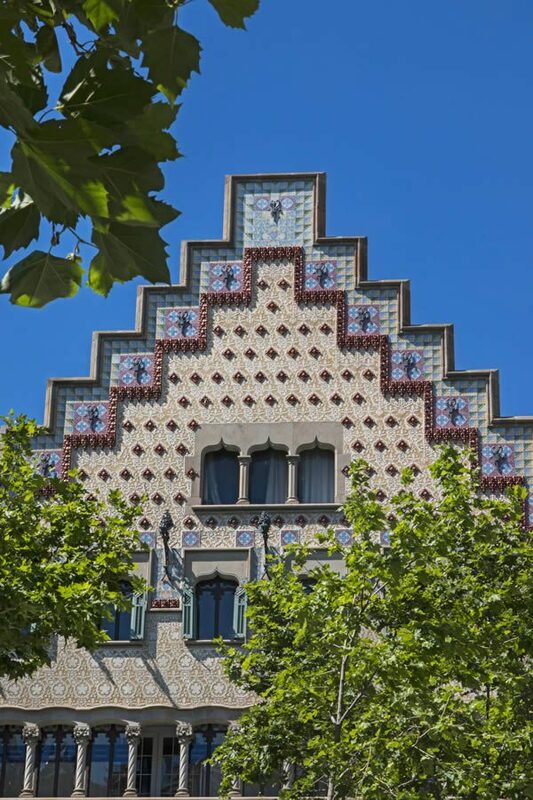 Located in the middle of Passeig de Gracia, the building owned by Josep Batlló today attracts hoards of tourists who vie for photos of its arched roof (which some say resembles a dragon), aquatic interiors and eye-catching façade; a colourful mosaic made of broken ceramic tiles. Located in the middle of Passeig de Gracia — an area linked to prestige and wealth in the early 20th century — the building owned by Josep Batlló today attracts hoards of tourists, vying for photos of its arched roof (which some say resembles a dragon), undulating form, aquatic interiors and eye-catching façade; a colourful mosaic made of broken ceramic tiles. The home is considered a masterpiece for good reason — Modernisme in its purest sense, barely a straight line with unusual ornamental embellishments, irregular oval windows, and flowing sculpted stone work. It is this excess of ornamentation and lust for curves and rounded forms that characterise the style at large, each of the architects involved adding their signature style into the mix. Think French architect Hector Guimard, known for his Paris Metro entrances; Vienna’s Otto Wagner, whose apartment building Majolikahaus is drenched with floral motifs; or Glasgow-born polymath Charles Rennie Mackintosh. Flamboyance was en vogue, and an army of creative talents were shaping the turn of the 20th century. 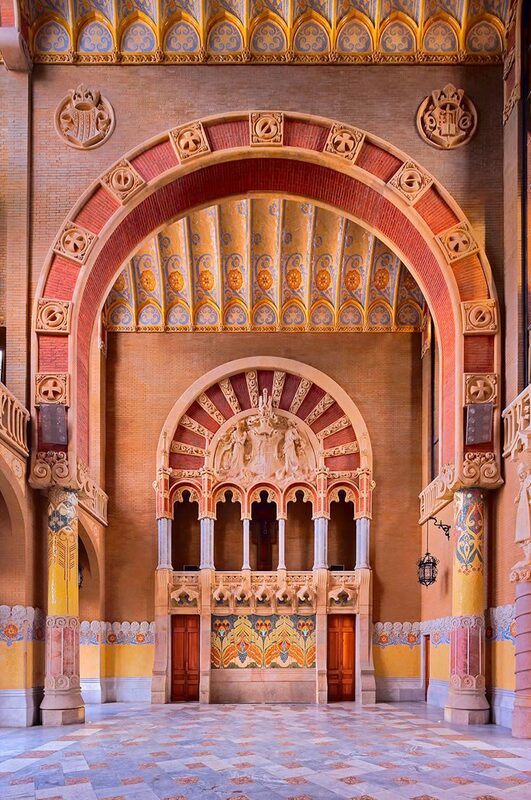 Designed by Lluís Domènech i Montaner, and built between 1905 and 1908, the Palau de la Música Catalana is a concert hall that combines elements of traditional Spanish and Arabic architecture. Undergoing extensive restoration in recent years, the building was declared a UNESCO World Heritage Site in 1997. Lluís Domènech i Montaner, a Catalan politician and architect was another figure highly influential in the Modernisme movement, with buildings like Hospital de Sant Pau and Palau de la Música Catalana now designated as UNESCO World Heritage Sites. A mixture between rationalism and fabulous ornamentation, inspired by Spanish-Arabic architecture, each follow the curvilinear design typical of Art Nouveau; their resplendent interiors and obsessive attention to detail a thing of bombastic beauty. Josep Puig i Cadafalch, architect of Casa Amatller (originally designed as a residence for chocolatier Antoni Amatller, and constructed between 1898 and 1900) may have had a style that separated him significantly from Gaudí, however it’s this building (along with Casa Batlló and Domènech i Montaner’s, Casa Lleó-Morera) that makes up the three most important to reside on Barcelona’s famous Illa de la Discòrdia (Block of Discord); a block noted for possessing buildings by four of the most important Modernista architects, famously confirming the fin de siècle movement in Barcelona. Puig i Cadafalch’s Casa Amatller combines the neo-Gothic style with a ridged façade inspired by houses of the Netherlands — part of the renowned Illa de la Discòrdia, the architect worked with some of the top artists and craftsmen of Barcelona’s Modersnista era, headed by sculptors Eusebi Arnau and Alfons Jujol. Fàbrica Casaramona was originally commissioned as a textile factory and completed by architect Josep Puig i Cadafalch in 1911. Having undergone many changes, it opened its doors as CaixaForum Barcelona in 2002, an art gallery in the Montjuïc area hosting exhibitions sponsored by the Barcelona bank, la Caixa. Puig i Cadafalch’s Casa de les Punxes was designed by the Modernist architect as a home for the three daughters of textile industrialist Bartomeu Terradas i Mont. 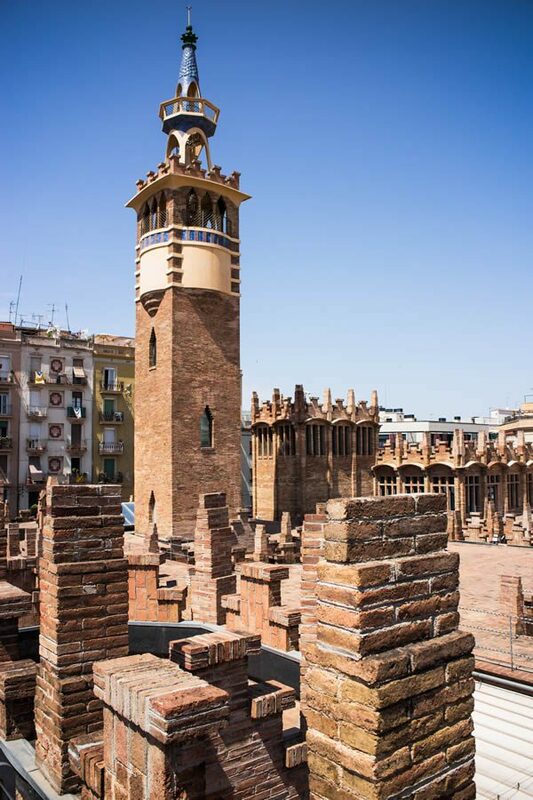 Reminiscent of old medieval castles and featuring six pointed towers crowned by conical spikes, the emblematic building dominates an intersection between three streets in the city’s Eixample area. With a roofspace of 600 m2, Casa de les Punxes is now home to live music musings during the Barcelona’s warm summer. A similarly underrated gem is Fàbrica Casaramona, originally commissioned as a textile factory and completed by the architect in 1911, the building has undergone many changes but opened its doors as CaixaForum Barcelona in 2002; an cultural venue in the Montjuïc area that hosts exhibitions, concerts, and film screenings. The Gaudi biography comes to an abrupt end in 1926, when the revered architect would die three days after being hit by a tram. 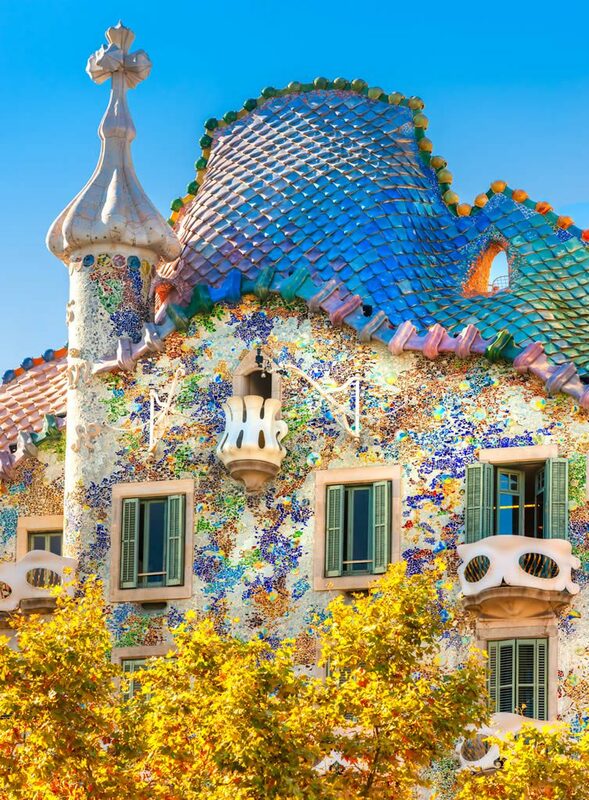 But the career of Gaudí had been immortalised, and to this day architecture aficionados make the pilgrimage to the Catalan capital to bathe in the glorious madness of Modernisme. Antoni’s icons and lesser-known surprises can be ticked off the list, as can imposing gems by Josep Puig i Cadafalch, Lluís Domènech i Montaner and Enric Sagnier — but devout Modernistas might want to head a little further for some of the scene’s most uncharted treasures. Built as a place of worship for the people of Santa Coloma de Cervelló (less than 20 kilometres west of Barcelona), the Church of Colònia Güell is another work by Gaudí to remain incomplete. 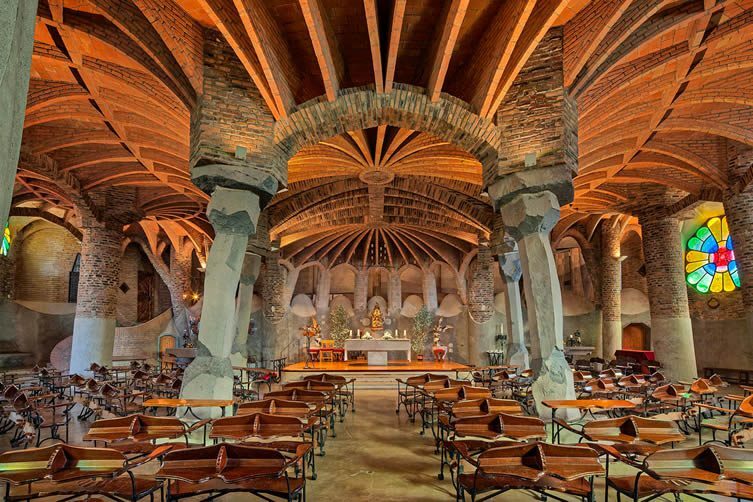 Due to Count Eusebi de Güell’s declining profits, the catalan architect only ever finished work on a crypt, but that doesn’t make it less spectacular — here Antoni would bring together all of his architectural innovations for the first time, shifts in materiality and a fluid form would set the tone for his iconic Sagrada Familia. A little further out of Barcelona, Gaudí was commissioned to design a winery and several hunting pavilions on the Bodegas Güell complex in Garraf — Eusebi Güell having been blown away by his work at the Paris Expo four years prior (Güell’s more noted commissions for the Catalan would come in the same year). Although the pavilions were never built, the winery, with a triangular frontal profile and almost vertical roofs, supplied wine to Cuba before ceasing due to lack of success. Nowadays, Bodegas Güell is home to the popular Gaudi Garraf Restaurant. One of only a handful of buildings to be designed by Antoni Gaudí outside of Catalonia, El Capricho — located in Comillas, Cantabria — is one for the true devotees; built as a summer villa for Máximo Díaz de Quijano, the house is considered as one of the jewels of European Modernism. These days it’s a cultural institution, open to the public and host to musical and theatrical events. Lastly, and situated in León, Casa Botines is a residential Modernist building designed by the architect, and paying homage to the city’s emblematic buildings. Owned by Joan Homs i Botinàs, Casa Botines went on to serve as the headquarters of local bank Caja España when they bought it from the Catalan textile magnate in 1929.